Choose from one of Park Regis Anchorage's spacious and hotel rooms, one or two bedroom apartments which all include everything you will need for a comfortable and enjoyable stay. Whether you are looking to pamper yourself or keep fit, there are a number of health, fitness and leisure facilities in Townsville to choose from. Day Spas There are a number of quality day spas to choose from close to Park Regis Anchorage. Here are a couple of our recommendations. Hair Salons We recommend guests visit nearby Sublime Hair & Beauty Spa. Please ask our friendly staff if you would like more options. Swimming Pools Take a relaxing dip or a few laps in one of our two outdoor swimming pools or visit one of the local swimming spots. Fitness Centres Stay on track with your fitness regimen by visiting one of the gyms in Townsville. Full gym facilities, classes and childcare available. Meetings & Conferences Our friendly staff can assist you with booking a conference centre or meeting room for all your business-related requirements. Business Services You will find all the essential business related requirements at Park Regis Anchorage. Please ask at reception if you require assistance. Park Regis Anchorage is conveniently located close to an array of restaurants, pubs, bars and nightclubs. Ask our friendly staff for some recommendations. Restaurants Discover an array of dining options in Townsville, many of which are within close walking distance from Park Regis Anchorage. Bars There are so many pubs and bars to choose from in Townsville to make for a great night out or relaxing afternoon in the sun. Here are our recommendations. Nightlife Visitors to Townsville can enjoy a lively nightlife. No matter what you are looking for, there is something for you, from a wild night out to a more relaxed drink. Cafes With great coffee and great service, there are quite a few quality cafes in Townsville. Here are our recommendations! Functions + Events The staff at Park Regis Anchorage can recommend a number of quality locations for your next event. 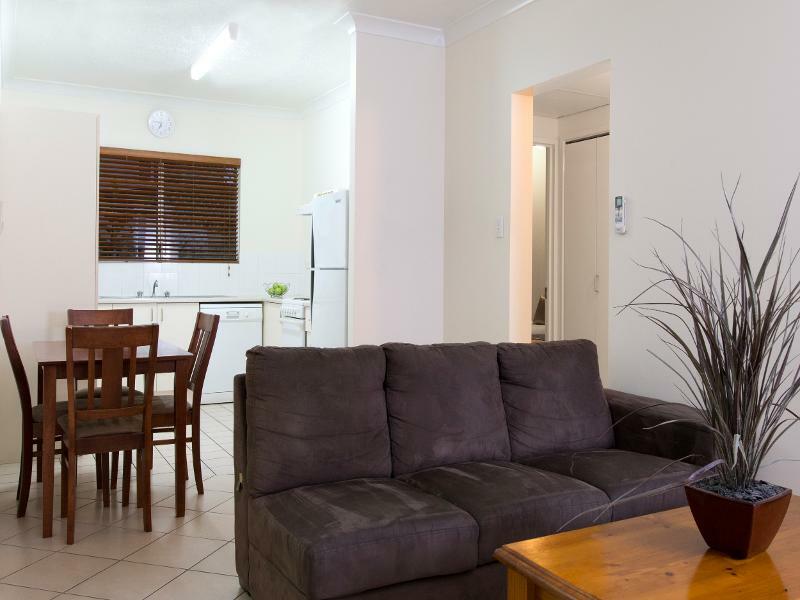 Upgrade to a Two Bedroom Apartment, perfect for families. 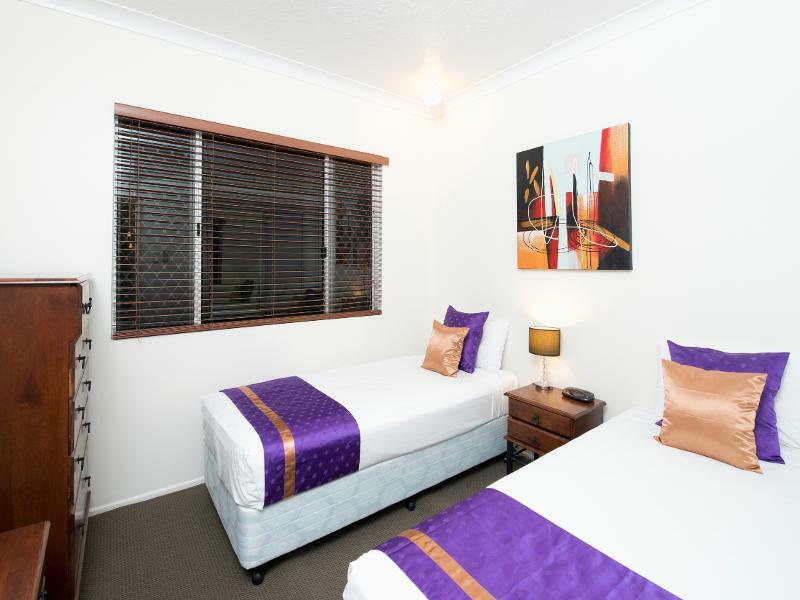 Rooms include all essential accommodation needs; air-conditioning, modern furniture, designer bedding, complimentary Wi-Fi access (up to 1GB per room per day), LCD TV with Austar channels, radio/alarm clock, hairdryer and full kitchen and laundry facilities. Room rate is for up to 4 guests. Maximum 5 people allowed. Extra person charge $40.00 per night for sofa bed. 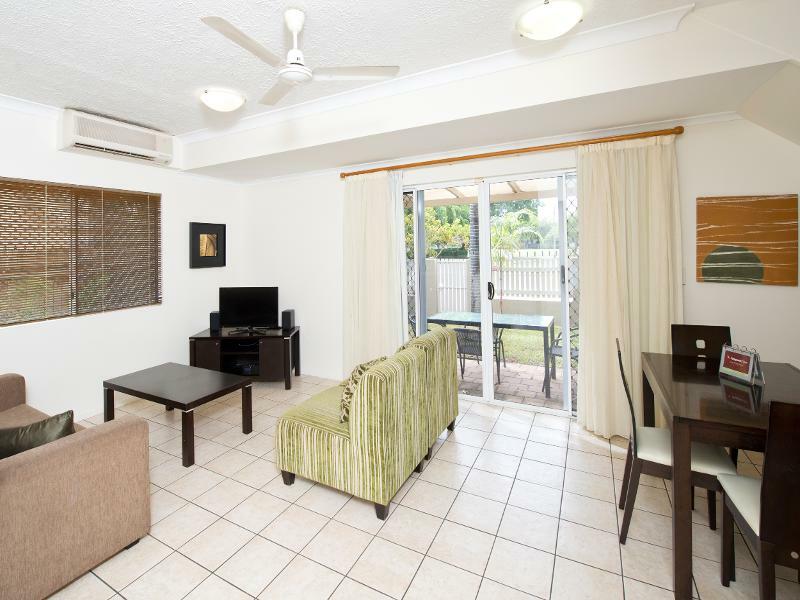 Please note our Two bedroom apartment are located at the back of the property and do not have marina views. Some of these 2 bedrooms do have stairs, please contact the property if this is an issue.